Click article image below to link and read full review. NowSpace is pleased to present brittle peace, a joint exhibition by current artists in residence, Emily Marchand and Lena Wolek. 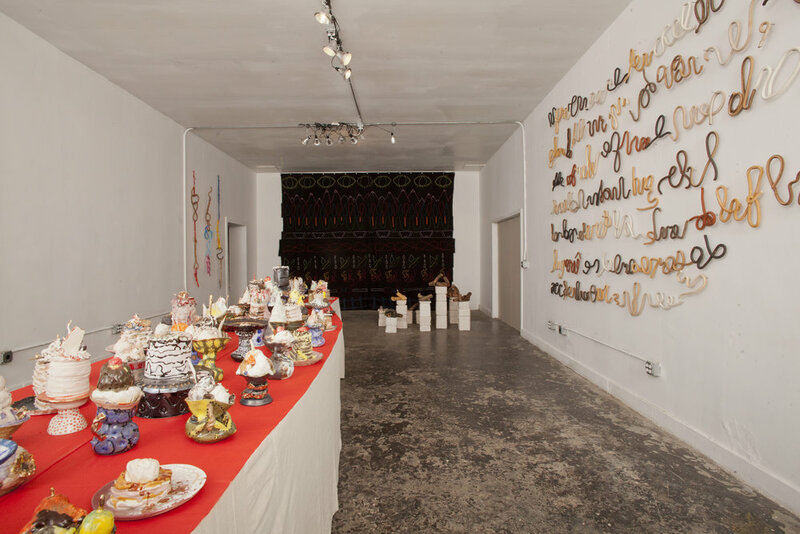 Marchand and Wolek will be presenting the culmination of their month long residency, supporting the ongoing dialogue the artists have established over a number of years. Although the artists have worked closely, sharing ideas and a fondness for materials including ceramics, textiles, and food, brittle peace will mark their first ever collaborative effort and the beginning of an ongoing practice creating work synergistically together. 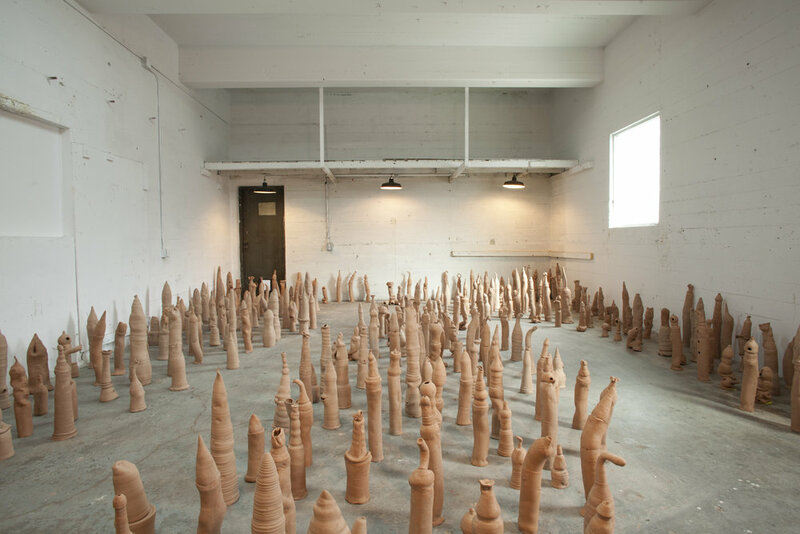 During their residency, Marchand and Wolek use material to explore labor and production amidst current political and social climates, creating an ambitious installation consisting of hundreds of unfired clay "bullets” assembled into an army-- a fitting installation for NowSpace, a former munitions factory during WWII. 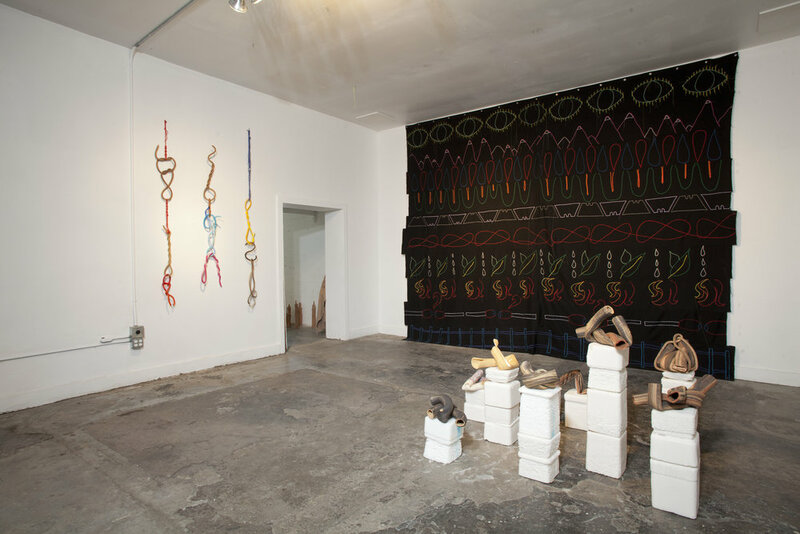 In addition to installation, new ceramic and textile works created individually by Wolek and Marchand will be on view in the main gallery. Lena Wolek (b. Siberia, Russia) received her BFA from UCLA School of Arts and Architecture and will graduate with her MFA from California State University Long Beach in 2018. Wolek’s art is inspired by the range of ideological, social, economic, and political fundamentals of rapid contemporary global development. Having grown up in a small town in Siberia where some folk customs are still the norm, and then adapting to cosmopolitan Los Angeles, she has a point on fascination with observing and analyzing the recent and rapid changes in both societies. This allows her the unique ability to integrate observations of value and loss in both social contexts, in order to compare and contrast the mentality and cultural attitudes of the two. 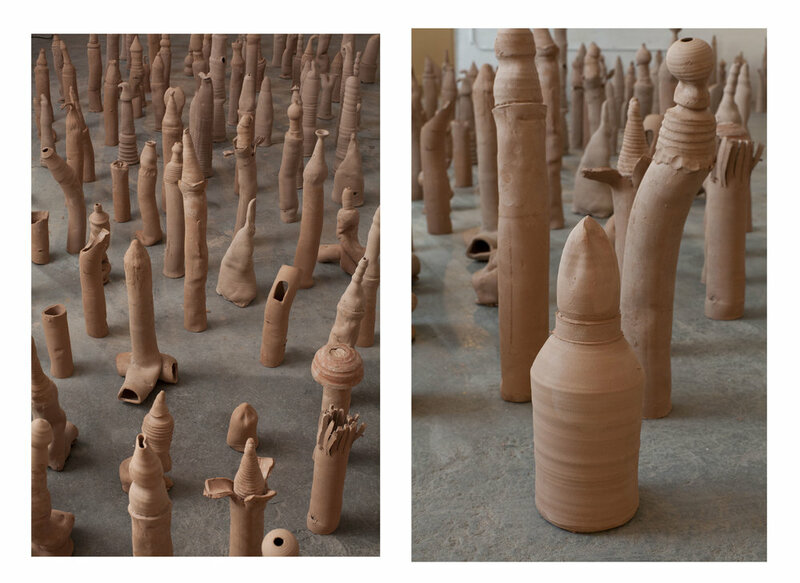 These conceptual formulations are visually translated and expressed through drawings, ceramics, sculptures, videos, and installations. 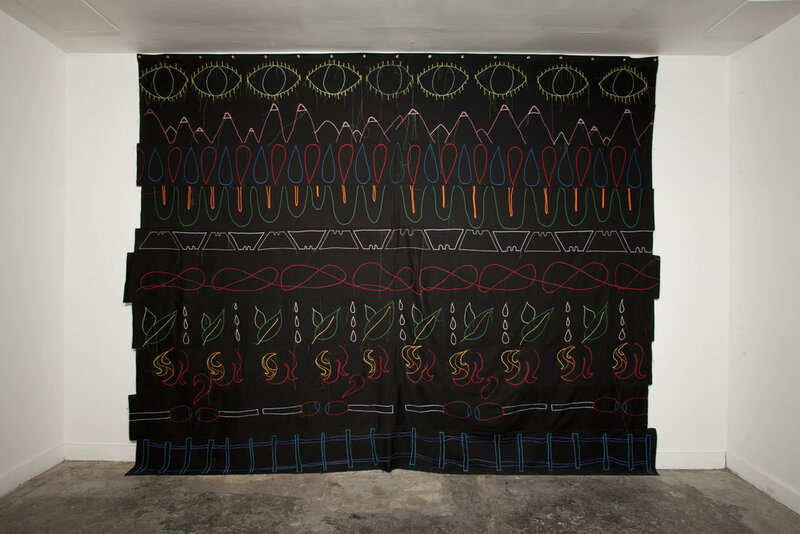 In addition to contemporary formal aesthetics, the work incorporates old craft techniques such as sewing, weaving, and ceramics that have been utilized out of necessity for centuries by common folk for everyday needs and beyond. Drawing upon Siberian traditions of folk humor, Soviet-style animation, propaganda messages, as influences and instigators of this multivalent critical perspective, Wolek’s work seeks to navigate a path between high and low cultural and socio-economical perspectives in the global culture in which we all now dwell.